AutoCentersForSale.com lists automotive businesses for sale or lease and provides an automotive industry services directory. 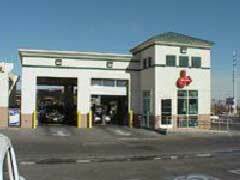 Commercial property for sale by owner and franchise opportunities for gas stations, car washes, auto lube centers, repair and service stations. Our goal is to promote auto center sales by business owners and provide tools for automotive industry brokers and agents to find businesses for sale. placing a listing on our site for free! !